How many times have you been camping or watching a football game or even been sitting on your patio and wished you can a comfortable chair that you could kick back and relax in? A chair that doesn't take a lot of effort to carry around with you? Well, I found it! RORAIMA Reclining / Lounging Camping Chair. 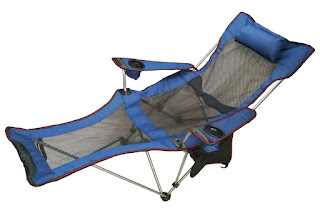 This chair only weighs 11 lbs., so you can take it anywhere with you. It's perfect for camping, taking to football games, the beach, your RV, cookouts. It doesn't have to be used only outside, you can put it on your patio or even your office. It's well made, durable oxford material and strong mesh support. 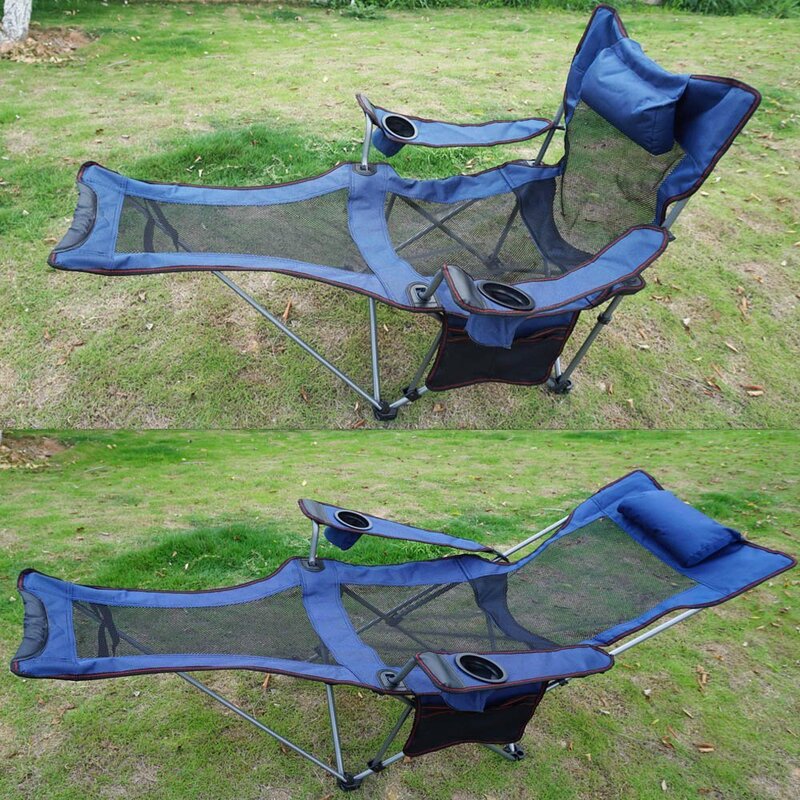 It's well ventilated for hot summer camping or after swimming. The chair measures 59"L X 22"W X 29.92"H and holds up to 200 lbs. It changes easily from a standard chair to a reclining chair in 2 easy steps. Follow instructions carefully the first time. This chair comes with 2 cup holders, you can use one for your drink and the other for your phone or snack. There's also an additional headrest and a mesh pocket to store your wallet, cell phone, book or magazines, sunglasses, etc.